The Planning Notepad by John Krissilas: Tapping into Human Nature with "Gimme"
Tapping into Human Nature with "Gimme"
Does the power to understand human nature—and consumer behaviour—reside in our genes? 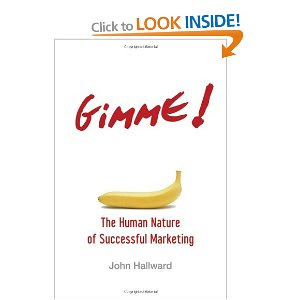 This is the notion that John Hallward, advertising research expert and senior leader at the research firm Ipsos ASI, explores in his book, "Gimme! The Human Nature of Successful Marketing". According to Hallward, "Genetic evolution offers a powerful explanation to our motivations", and only by understanding the modern-day manifestations of our evolution can we truly identify and tap into our genetic "Gimmes". 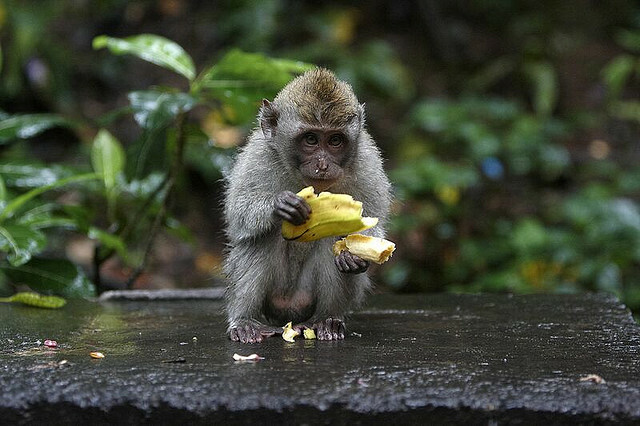 Below are ten evolutionary traits, or "Gimmes", that help us understand human nature. Our human senses, such as taste, smell, and touch, tend to desensitize to familiar stimuli—as a stimulus continues, we are genetically wired to pay less attention to it. Our brain unconsciously readjusts our senses to a fresh base of zero so that we can be ready to detect and process new, unfamiliar things. It is a basic survival trait to be able to desensitize to neutral stimuli, and as a result "We appear to spend less time focused on what is already familiar to us". This evolutionary trait works, as you can imagine, to the detriment of established brands. “As consumers, we become more passive to familiar, old, mature brands and to established, tired, ongoing ad campaigns.” Brands that have been around for a long time are in a constant struggle to avoid becoming "wallpaper" to desensitized consumers. We have a genetic capacity to detect irregularities in our world. It appears to be an outcome of hunting and gathering food: there is a survival benefit to being able to find the ripest berries and to avoid the diseased and infected ones. For millions of years, we were rewarded for the ability to detect irregularities. If marketers want to get attention, we have to be irregular and stand out from the crowd. Such irregularity appeals to consumers’ genetic disposition to give attention and to evaluate it. Stand out and people will take notice. Richard Dawkins, in The Selfish Gene, discusses the concept of stable environments, and how selfish people will take advantage of social groups for their own personal benefit. In turn, social groups that work to the common good of all will be destabilized by selfish individuals, causing an evolution toward individual selfish desires. We are predetermined to be somewhat greedy and to be loyal mostly to our individual self. And as consumers are gaining confidence as shoppers, we are becoming less loyal to brands, and much more selfish. We can also be influenced by incentives, which can be emotional, personal, subconscious, self-rewarding, and not fully explainable. Gerald Zaltman, author of How Customers Think, says humans have memories so that they can forget. These are memories of established patterns of behaviour—or habits. Habits allow our lazy brain to avoid thinking, and once the brain locks in on a decision, it becomes a challenge to get consumers to change. In order to break them, we need a disruptive, engaging stimulus that is strong enough to invite brain activity to consider an alternative decision, rather than fall into the same old same old. When faced with many choices, humans tend to isolate and focus on just a few key criteria and ignore more than they can comfortably deal with. Humans are not equipped to deal with too much choice and will experience negative feelings (anxiety) that lead to inaction. Cognitive dissonance is the concept of having opposite attitudes, or experiencing conflicting thoughts, toward something. Humans strive to have a consistent set of beliefs so that our thinking is nice, neat, and comfortable. We aim to make future decisions in an anxiety-free manner. It is always better to have clear, settled beliefs (to be prepared). In order to turn short-term memory into long-term memory, the item needs to have some level of importance or impact to be worthy of being well stored in our memory, the more intense or important, the better. Units are easier to deal with than a mix of words and text without a unifying theme or story. Our brain is lazy (or energy efficient), it works well in pictorial units, stories, and mnemonics, and it likes discrete, consistent messages. It works well with simple Big Ideas. Often these decisions are based on expectations. Expectancy theory (from Victor Vroom) is the concept that decision making is based on what we envision (or expect) as the payoff of each possible choice. The motivator must thus work to activate the preferred attitudes and to help the target see the positive emotional payoffs of the desired behaviour. Other times, they are based on our own, personal aspirations. If we have aspirations, then events, outcomes, and opportunities that allow us to realize our aspirations must also be of interest to us. Attitudes (and feelings) are built on experiences, which become beliefs over time. As we make decisions, we consider our current attitudes, beliefs, and feelings. The brain will only lead us to where it can imagine. Changing an established attitude, particularly a negative one, is difficult to accomplish. Thus, instead of trying to change a stubbornly set attitude, it is often easier for marketers to either (1) alter or leverage other attitudes, or (2) change the importance of the attitude in the holder. Consumers are less likely to reject or ignore new beliefs that do not challenge existing ones. One aspect of this is hedonism: orienting one’s life in the pursuit of pleasure. Ultimately, we do things for our own emotional needs, wants, and desires. Do these "Gimmes" sound familiar to you? Has Hallward changed the way that you'll approach marketing in the future? Share your response below.